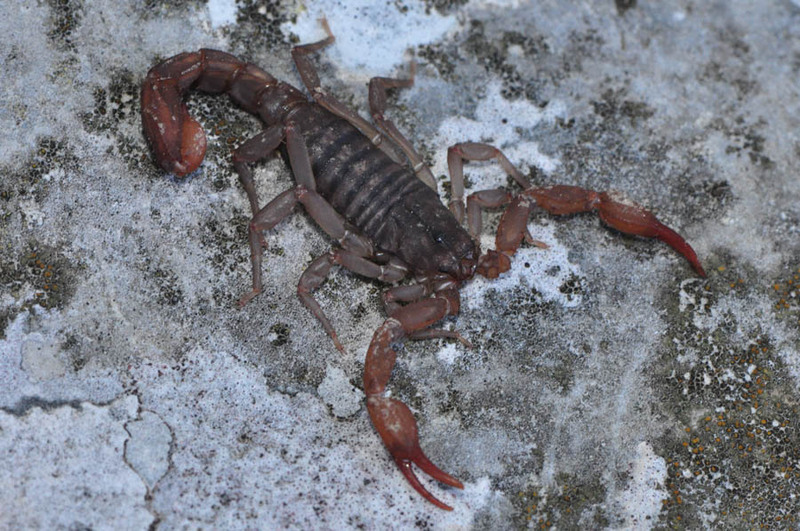 Scorpions are becoming more popular. 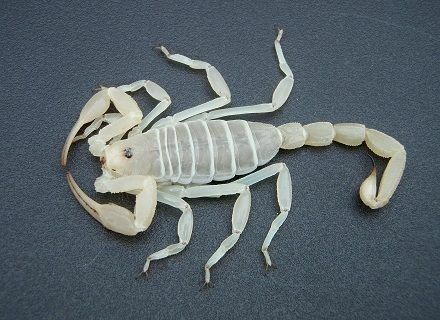 Many species are high-strung and will sting readily though. 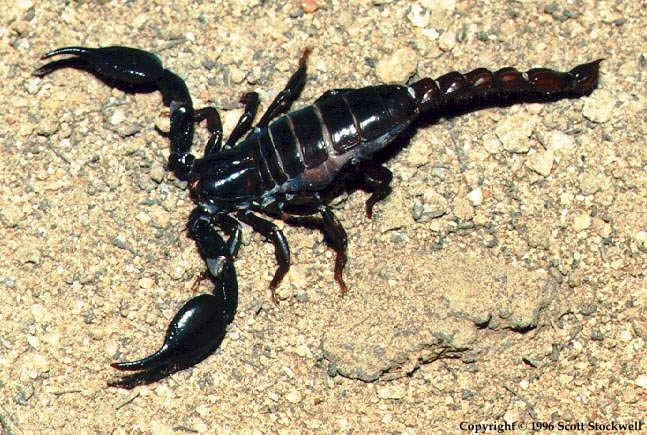 Scorpions of the Buthid family are highly venomous and should only be kept by adult, advanced keepers and researchers/educators. We will require a venomous form to order those species. 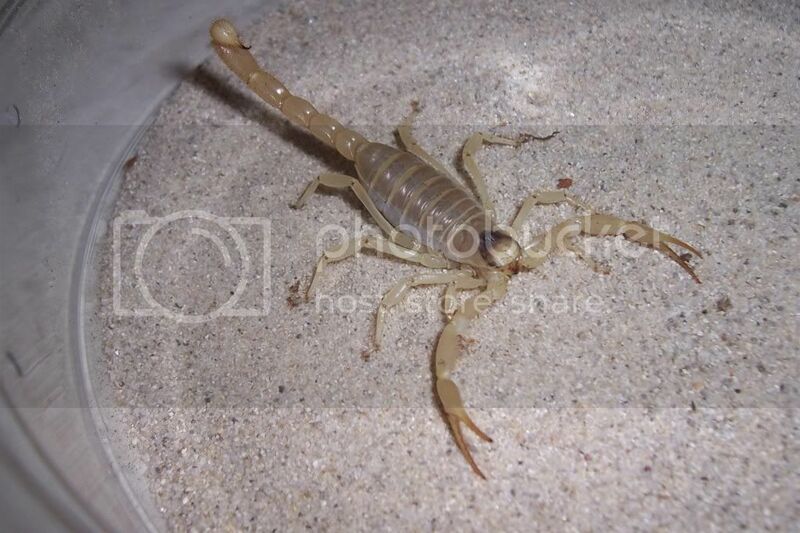 *** See photos of scorpions at our SCORPION PHOTO GALLERY. 1) Read which terms and policies apply to your order. 2) Read our customer reviews. 3) Use the shopping cart features below to order and pay via paypal. Shipping is 1-2 day delivery and determined via your zip code upon check out. Also, fill out the necessary order form by clicking here. 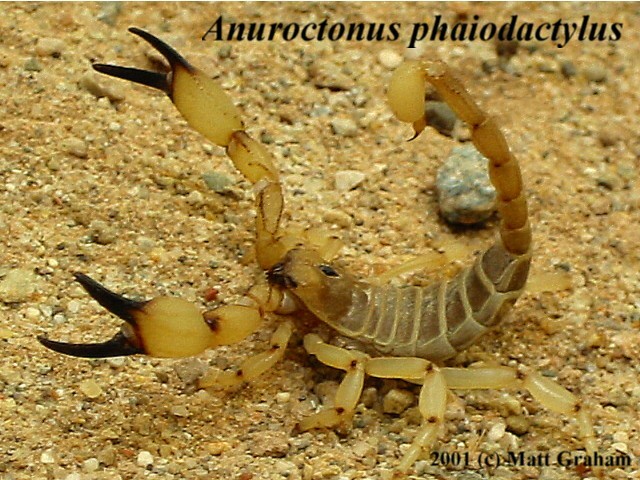 ARTHROPOD PRICE LIST . Updated 2/15/16. CLICK HERE ------------------------------------------------------------ (DISREGARD LISTINGS BELOW. WEBSITE IS BEING UPDATED. ONLY REFERENCE LIST ABOVE THIS LINE (.PDF FILE FOR VIEWING). 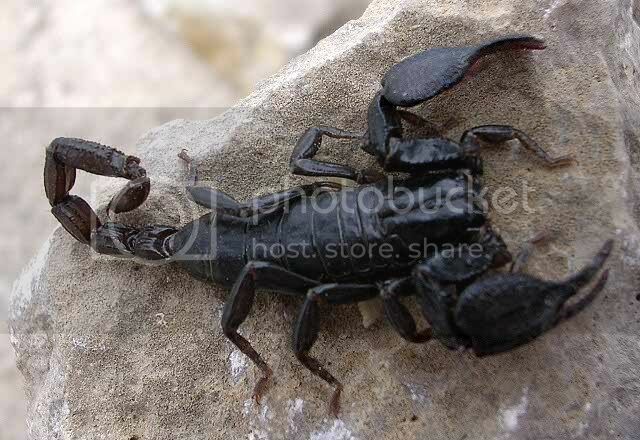 • Anuroctonus p. pococki "Californian Black-tipped Claw Scorpion"
Centruroides hentzi "FL striped bark"
• Centruroides vittatus "Striped Centruroides"
• Diplocentrus lindo "West Texas Burgundy Burrowing Scorpion"
• Diplocentrus whitei "West Texas Black Burrowing Scorpion"
• Euscorpius vachoni "Yunnan Black Scorpion"
• Grosphus grandidieri "Malagasy Black"
• Grosophus limbatus "Malagasy Orange Scorpion"
• Hadrurus anzaborrego "Californian Red-tipped Desert Hairy"
• Hadrurus a. pallidus "Blond Desert Hairy"
• Pandinus gregoryi "Tanzania Dwarf Red Claw"
• Pandinus imperator "Emperor Scorpion"
• Scorpio maurus palmatus	"Israeli Gold"
• Serradigitus subtilimanus "Imperial Colorado Desert Scorpion"
• Smeringurus v. vachonii "Californian Sand Swimmer Scorpion"
• Vaejovis confusus "Yellow Tail Devil"
* VENOMOUS SPECIES: For venomous (medically significant) invertebrates go to our venomous species page. 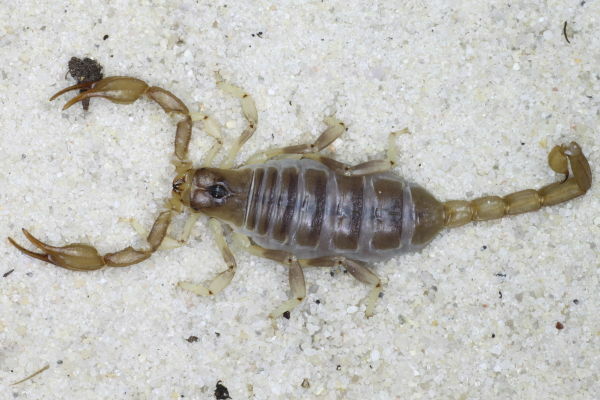 Paruroctonus xanthus "Sand Swimmer Scorpion"
Parabuthus liosoma "East African Black-Tailed Scorpion"
Parabuthus pallidus "East African Orange-Brown Thick-tailed Scorpion"